All items must be PRE-ORDERED by Dec. 1 by making your payment on the Schwag Fundraiser page under the About Us tab. In the Comments box, please write the quantity, size and color of the items you are ordering. Need to try it on? 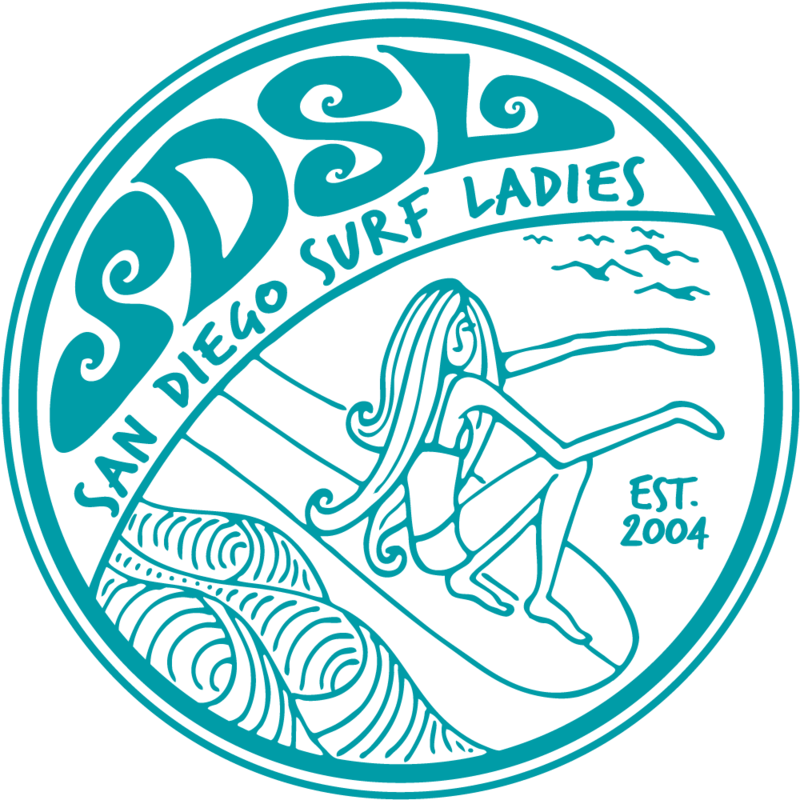 Come join us for Cocktails & Clothes Happy Hour this Tuesday at 6:00 in Del Mar. Try on samples of the new V-Neck, Hoodie and Bootie Shorts along with a tasty taco and cocktail. You can pay for your pre-order as well with cash or check. See Event Page for details. 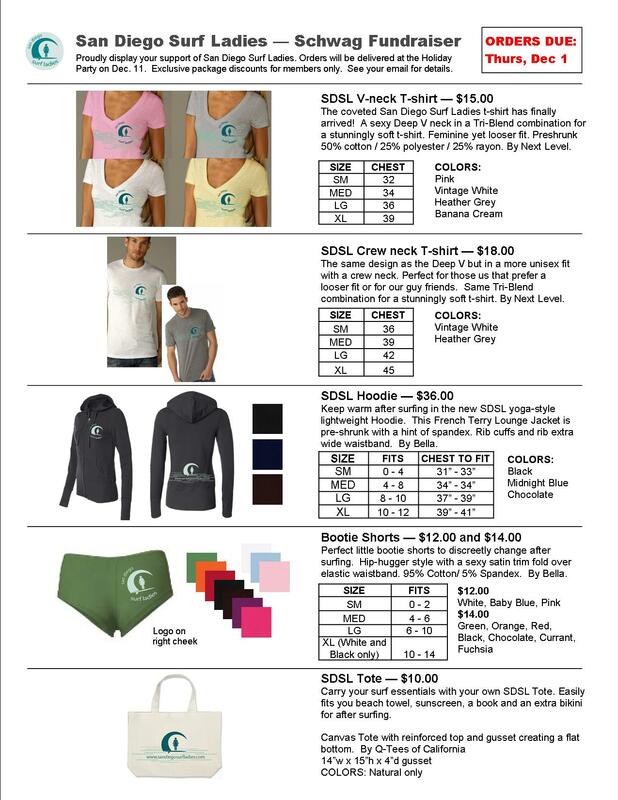 Orders will be delivered at the Holiday Party on Dec. 11. Exclusive Discounted Package Deals for Premium Members Only. If you "register" for this event, you'll be emailed the package discounts in your Registration Confirmation email.